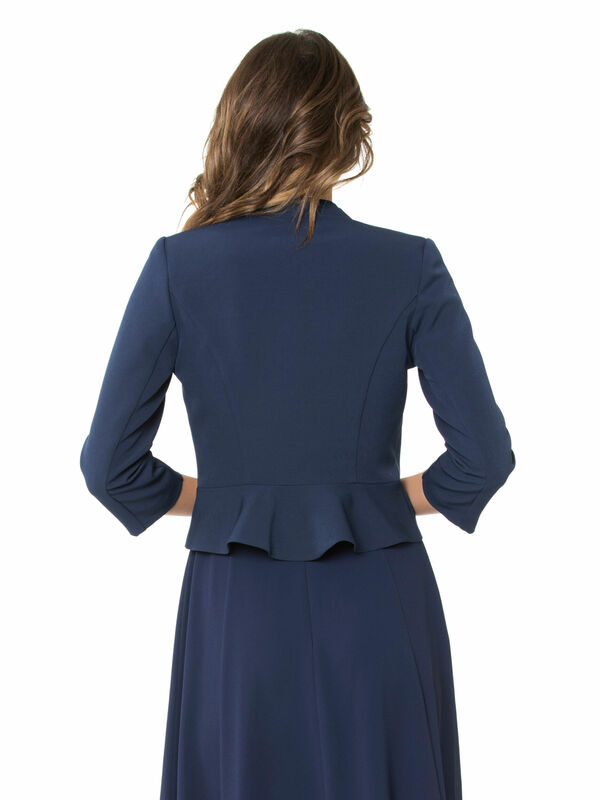 East Island Bolero https://www.review-australia.com/global/east-island-bolero-navy/RE19JK012.RENVY001.html For undeniable elegance, style and simplicity, look to the East Island Bolero jacket in Navy. A cropped jacket that blends structure and femininity, this medium weight style is a must-have for events and dressed up work outfitting. With stretch through the fabric, the jacket is fitted through the waist, fastening with a concealed hook and eye closure. With no lapel or collar, the jacket provides a streamlined and flattering silhouette. It's finished with a curved ruffle hem and soft satin lining.